If you want to keep your home warm in winter and cool during the summer months, you need to make sure that it is properly insulated. When your house is not well insulated, it can lead to decreased energy efficiency and a higher utility bill. To learn if your home needs extra insulation, read through the following tips. When your ceiling is not insulated properly, heat will escape in certain parts of your roof. This may cause snow to melt over different parts of your house, so you can see “hot spots” forming. The same type of issue may cause ice to develop in certain parts of your roof, and it can cause icicles to form. All of these things are signs that your home needs to have new insulation added. You expect a light breeze when a door or a window is open. However, When everything is shut, there should not be a draft in your home. If there is, it means that the insulation is not stopping the gaps in the walls, ceilings or floors from letting in air. Common locations for gaps include recessed lighting, cracks in the wall, ducts, electrical outlets and fireplaces. An older house is often less insulated than a new construction. Even if the insulation was originally installed perfectly, gaps in the structure could have let water or moisture in over the years. If there is wet insulation, then you know immediately that you need to replace it. Some recent studies included that only 20 percent of the houses that were constructed prior to 1980 actually possess good insulation. Sometimes, an energy bill increases because you have added members to your family or the power company has raised their rates. The best way to see if you are using more electricity is to look at the kilowatts used during the same month in the previous year. If your house has the same living habits as before, the number of kilowatts should be basically the same. When the amount of electricity that you use during a given month rises, it is a strong indicator that your insulation will need to be replaced. 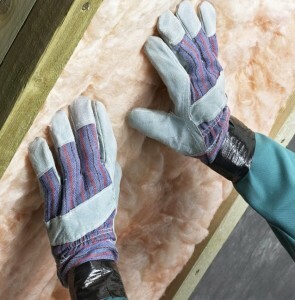 For more information about insulation and to get a free quote, contact USI online to find a branch near you. USI believes that excellence in every step of the process and ensures timely completion and quality of service, time after time.